The new year is right around the corner and what is new year famous for? You guessed it right! Resolution is what is famous for the new year. Every year we take up resolutions but how many of us actually follow them. This year, let’s do things a little differently. Instead of taking up a resolution and giving up on it, we can try integrating some best practices into our lives, as and when we can. Let us look into this blog the best practices that we can follow in the year 2019. We all must have heard the saying “Old habits die hard”. And as humans we all have some bad habits we would be following for a very long time. Let us along with those bad habits, try to implement at least one single good habit everyday. Like getting to bed early and waking up early, eating healthy and avoiding junk food etc. Habits are the most important aspect of life. They affect the way of our life in both good and bad way which depends on the kind of habits we have. So it is important that we have some good habits following. This gets us to the next topic of the blog which is the exercise. Exercise in the morning will make the sleepiness go away and we will feel brisk and helps to get us going the morning. Morning exercise can make the whole day brighter. We should make it a habit to do some kind of exercise so we feel energized the whole day. It might be a little difficult during the initial days, but with practice exercising will become a habit and we’ll much better every day. Most of us work our neck off everyday only to get paid. But what are we left with at the end of the month? Empty pockets. This happens because of the lavish spending and no amount of saving. Most of the money we spend will be on things that we have no need of. We should have a tab on where we spend and cut out the unwanted expenses. 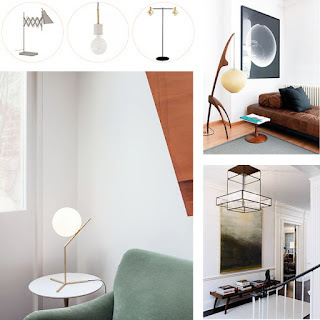 This way we can we can save a lot of money which will come handy during the time of need. Caring is one of the best ways to show our affection, because we only care for people we know and love. There are many ways we can let people know we care. As the saying goes “Action speaks louder than words”, doing something special for the people we love is the best possible way to show we care. This new year, get them a 3D selfie of their own and show the ones you love that you care. The best kind of happiness is the happiness we feel through giving. Making others happy always make us happy and feel content. Sharing things with others makes them feel loved and that’s the best thing we can ever give. So this year share with the people you care. 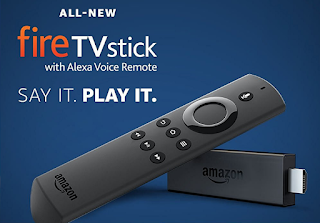 New updates are happening every day. The way we do things are changing. To survive and go parallel with the world we have to adapt to the changes. There were days when nobody even knew what a cellphone was but now we can’t spot a single person without a smartphone. The same way we have to go with the new changes to be at the same level. 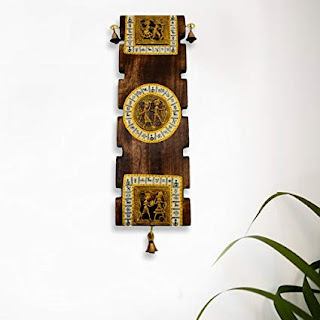 Most of us keep a photo frame of their friends or family on our work desk. 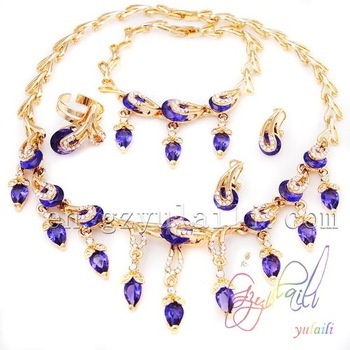 But now has come 3D model and people are opting for 3D miniatures because it gives a life-like feel that people love. This year get a 3D selfie of your family and place it on your desk. We all have this thinking that we need to impress people. While some people think they want to impress everyone, the others only want to impress the people they like. The first you’ve to do to impress anyone is to know them. Understand the person we want to be liked before getting into anything. Some of the things you can do to impress a person you like is to talk about the things the like, throw references from their favorite books or movies, gifting them thoughtful personalized gifts. Things have become stressful these days. There’s office pressure, family pressure and all kinds of stress which will only lead to a unhealthy life. Most of the things we have in mind will be of something that is irrelevant. 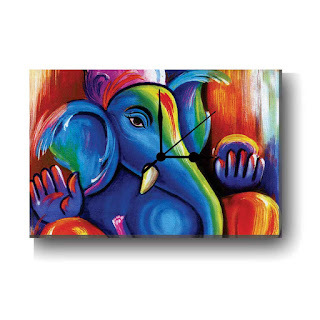 We should remember ourselves to take a deep breath and think calmly whenever there is any issue. This year, let’s vow to ourselves that we will try to have a peaceful and not overthink about things. Knowledge is a never ending process. We all know the saying Tamil saying “Known is handful of sand, unknown is the world”. We have to keep learning new things everyday and acquire knowledge till the end of our life. We’re all busy with what we’re doing but from 2019, let’s just start to learn something new everyday. One thing many people struggle with is the time. We have so many things to do that we don’t know how to segregate them. We end up with the phrase “there is no time” all the time. It is because we don’t know how to manage our time. We could start a schedule and plan things accordingly and try to make use of our time efficiently. 3D replica dolls, which is an exact output of human or any object. Making 3D portraits will help you to gift new item to your loved ones or saving your special moments lifelong. 3D dolls are printed in with ceramic materials, which is print with colors. 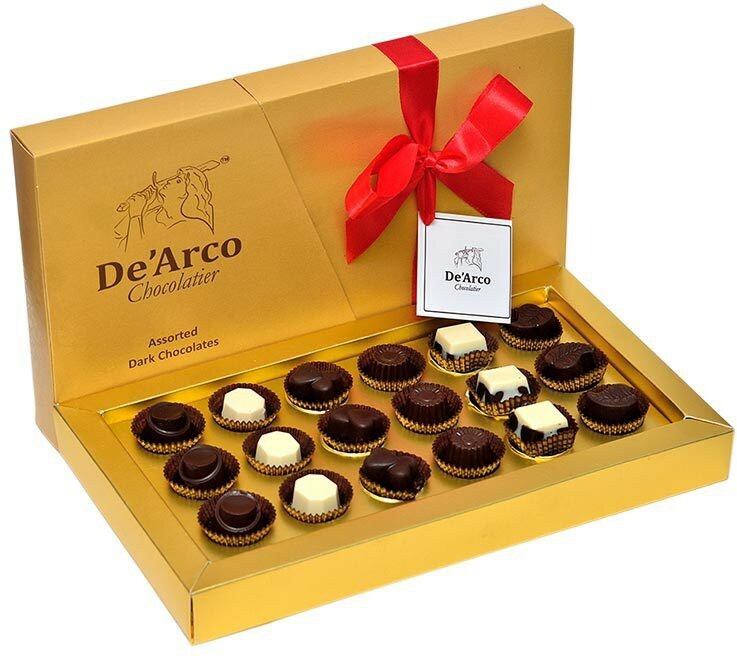 It is a very attractive and reliable product as compared to normal 2D miniatures. 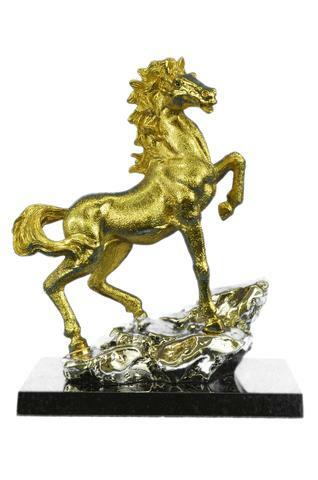 If you are searching for the best gift to anyone, you can gift this 3D figurine of your loved ones with 95% accuracy. You can get with any type of property to be print, iKix My3D will print with extra property also. Yes, 3D portraits can be used for business promotions also. It will boost your company brand value. 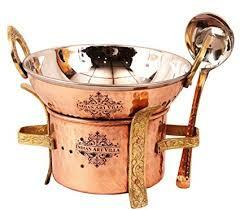 Most of the business people use some old fashion gifts to promote, which is very costly. 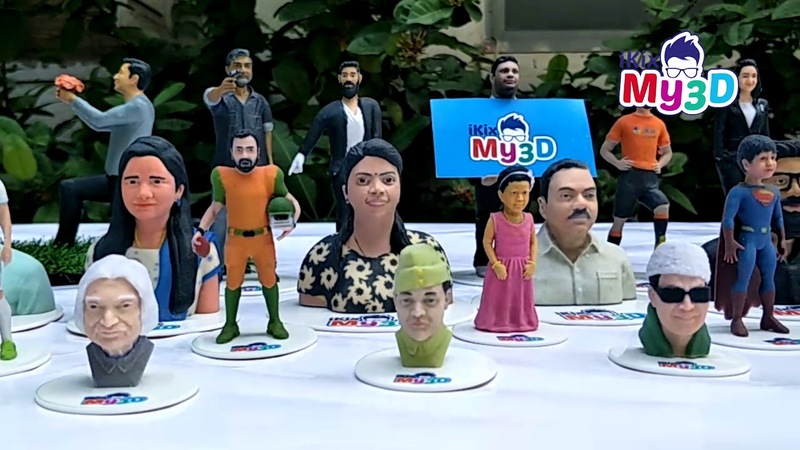 Try new 3D printed portraits to boost up the brand value, as a result of low cost & might be afforded. Saving best moments in picture and phone, its old one. 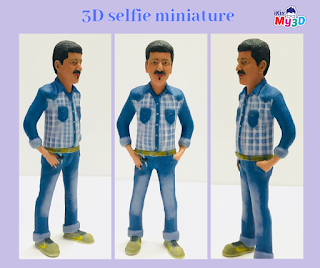 Now you can save your best moments in life for long last by printing 3D replica dolls of yours and your loved ones. To print 3D replica dolls the process starts from sculpting an object, Sculpting is done by the 3D model designers or 3D object scanners. Most of the 3d models are using Zbrush tool to sculpting an object. After sculpting, it will go to the printing process and it will print with sandstone. Top 10 Personalized Diwali Gifts 2018! Crackers are getting ready for Diwali with the Gifts, We know deciding upon a thoughtful gift for a loved one is a difficult thing to do, especially with our busy schedules. So, don’t worry! 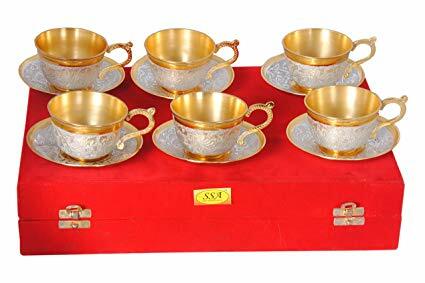 We have come up with a list of 10 Best Diwali Gifts of 2018 for you!! After all, the monsoon is Coming! This My3D Personalized 3D Printed Selfie Figurine is an awesome Diwali time surprise gift. 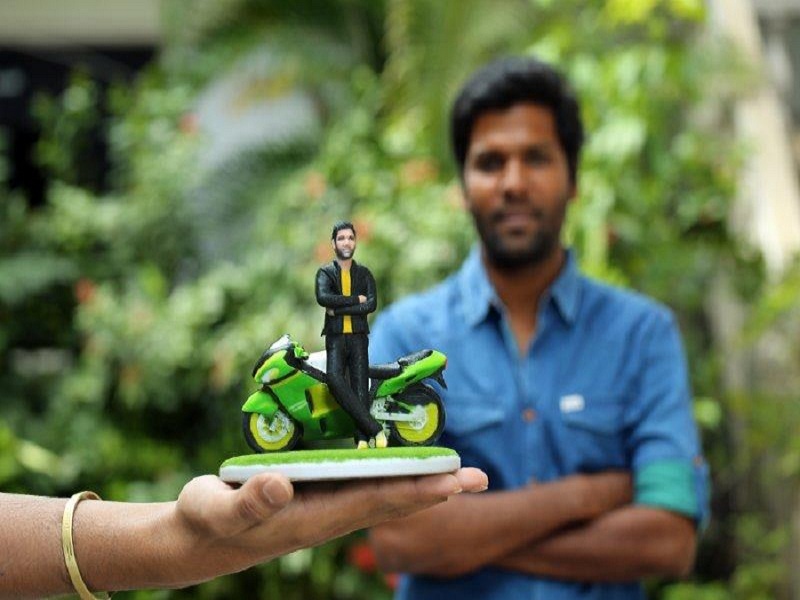 Surprise your loved ones with their very own 3D Printed miniature that looks exactly like them! The best thing about it is that they do not need to visit the store. Just upload 3 photographs of a sweet moment and that’s it! 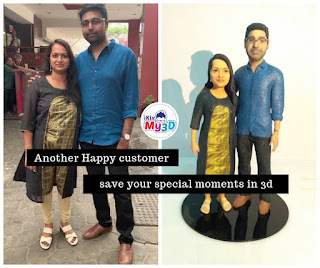 A 3D printed statue of your loved ones will help you to surprise them. 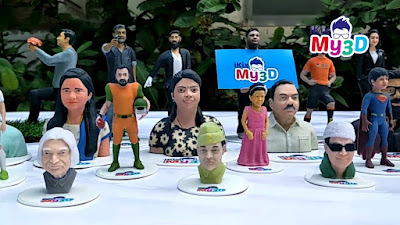 Most of the people having confusion about selecting perfect gifts for your friend’s birthdays and other occasions, now no need to worries about it, gift them with a 3D printed selfie of them. 3D figures take a change in gifts history, because of 3D printing technology is newly launched, and it became a game changer in the 2D industry. To get 3D printed statue form iKix My3D Prints, no need of body scan and other reports. The 3D printed selfie printing process will be as given below. 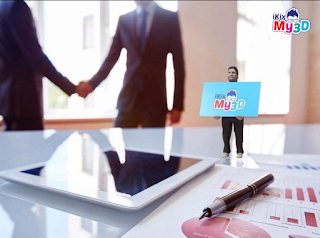 · Hold your 3D selfie, share it with family and friends, and post it on Facebook and Instagram! iKix My3D is the newest member of the iKix family. iKix My3D Prints is the world's largest provider of 3D printed mock-up models for a range of industries. We have been in the business of turning your vision into reality for over a decade.